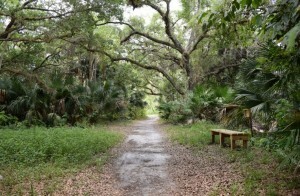 The Happehatchee Center is a park located in the heart of the Village of Estero at 8791 Corkscrew Road. Its grounds include tall majestic trees, a butterfly garden, historic house, and the Estero River. The Center’s mission is to preserve and honor the land and nature. It provides environmental and healing arts education and sustains facilities for celebrations and ceremonies. The Ellen Peterson Picnic Park on the Estero River is a new stop on the Great Calusa Blue Way Paddling Trail where the picnic table, dock and ramp are open to the public. The Happehatchee Historic House, labyrinth and gardens welcome visitors on Fridays and Saturdays,10 a.m. – 4 p.m., 239-992-5455, www.happehatchee.org.